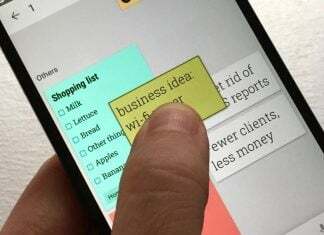 Everyone who is living in a foreign country and facing issues with the language of locals knows how hard it makes the routines of daily life but in that case, if you have a good translating app in your smartphone, your work is half done. 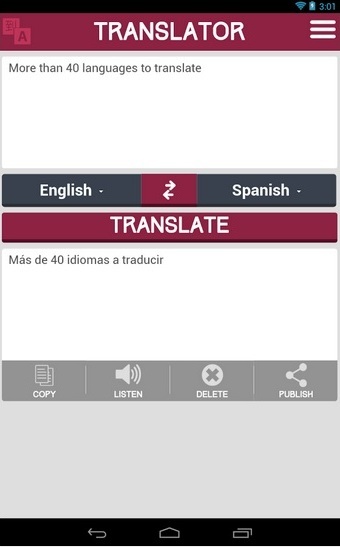 Gone are the days when you needed to carry fat dictionaries – now all you need is this amazing app known as Translator. Translator offers translation of more than 40 languages. It has a very simple user interface, where you can add a word or a small sentence in the language you desire in a box and get a translation in the box below it. Also, you can record your voice to get a translation as well, or if you are in a foreign country, you can record the person you want to communicate with and easily understand what he said, and also you can communicate with them by translating in their language and using the ‘Listen’ option. In recent past, I was travelling to another city in Turkey and the person sitting next to me didn’t speak English. We both communicated with each other with the help of the Translator app, and it was definitely a new experience. Only thing that I find missing in the app was offline-translation, which allows you to use the app in a scenario where you don’t have a mobile or WiFi network. 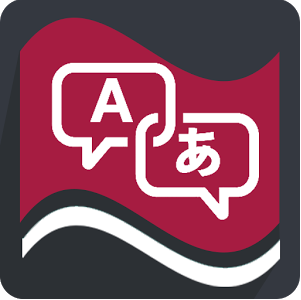 This app is one of the best apps out there to use for translation, whether you are travelling or learning a new language or trying to communicate with someone, I am sure it will not disappoint you.